So, the last few weeks of training have gone well. I am however starting to have a few doubts about my 1:30 goal at Scotia. That will equate to 4:17/km and I am not sure I am up for that for the full 21.1km. However last year when I ran just over 1:31, I am not sure how I held that pace either and had a great day, so one never knows. I will go for it and really be happy with anything under 1:35. The weather has been amazing the last few weeks especially on long run Sundays. I need to find a place to live that has this climate year round. I know they are out there, but well, convincing my family we should move is a whole other story in itself not to mention we have family here and that is always great to have. Otherwise, I would have no reason to stay in this concrete jungle ! Especially given winter. Ick. 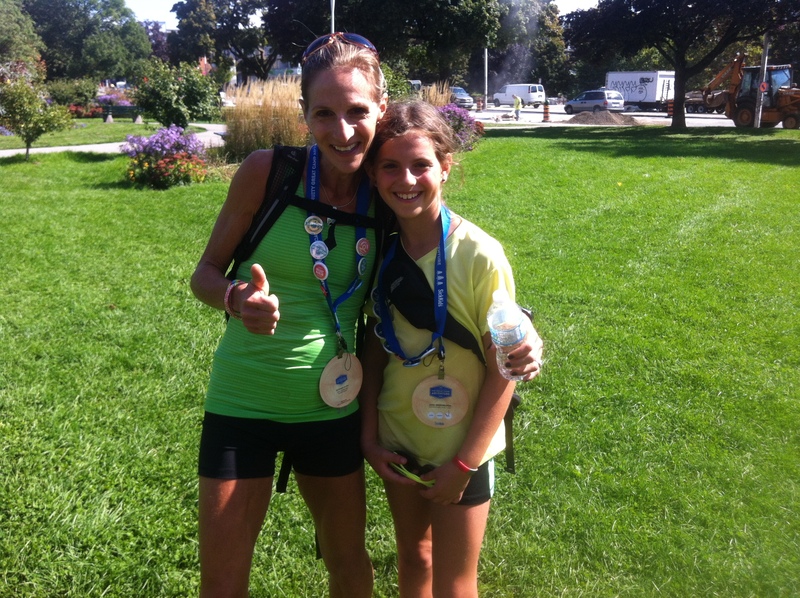 Yesterday my daughter and I participated in the Sick Kids Great Camp Adventure walk. We could have the option of walking up to 20km or stopping anywhere along the way and hopping on a shuttle back to main camp or the other checkpoints. 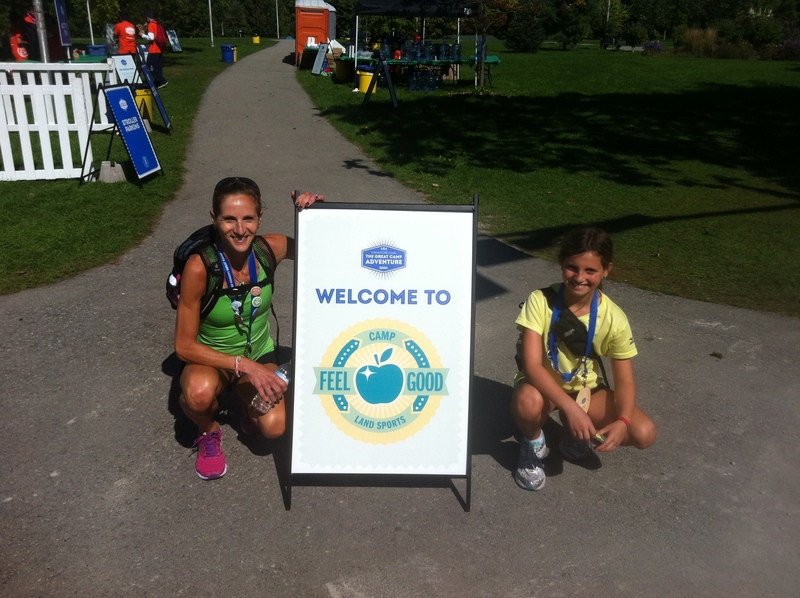 Our goal was to do 8-10km. My daughter wanted to keep going and we made it 15! 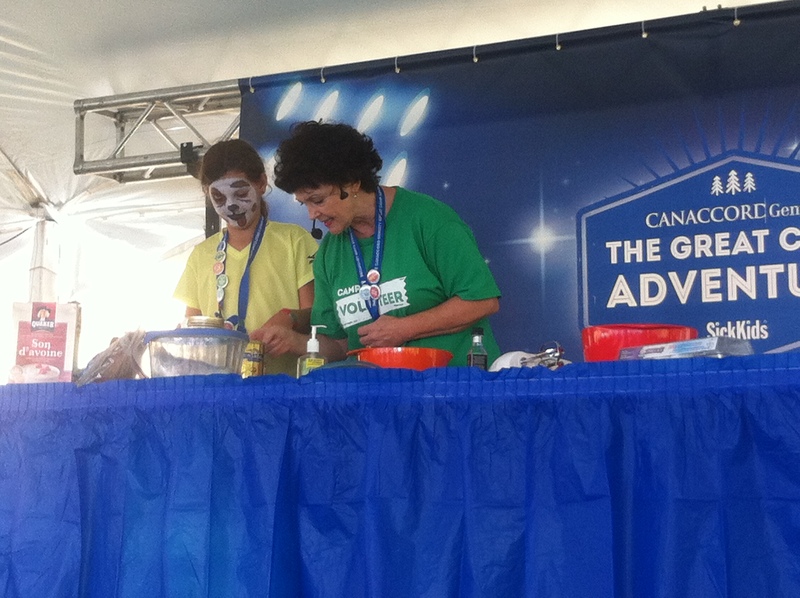 I think she would have gone the full 20km if not for a cooking demo she wanted to help with for my good buddy Mairlyn Smith (www.mairlynsmith.com). Who makes fantastic recipes and has many a good cookbook too. Check her out! Not to mention she is hilarious too. We had an awesome day together and came home tired but happy with what we accomplished and the money we contributed to a great cause. That’s it for now. Here’s hoping for a mild non snowy winter!